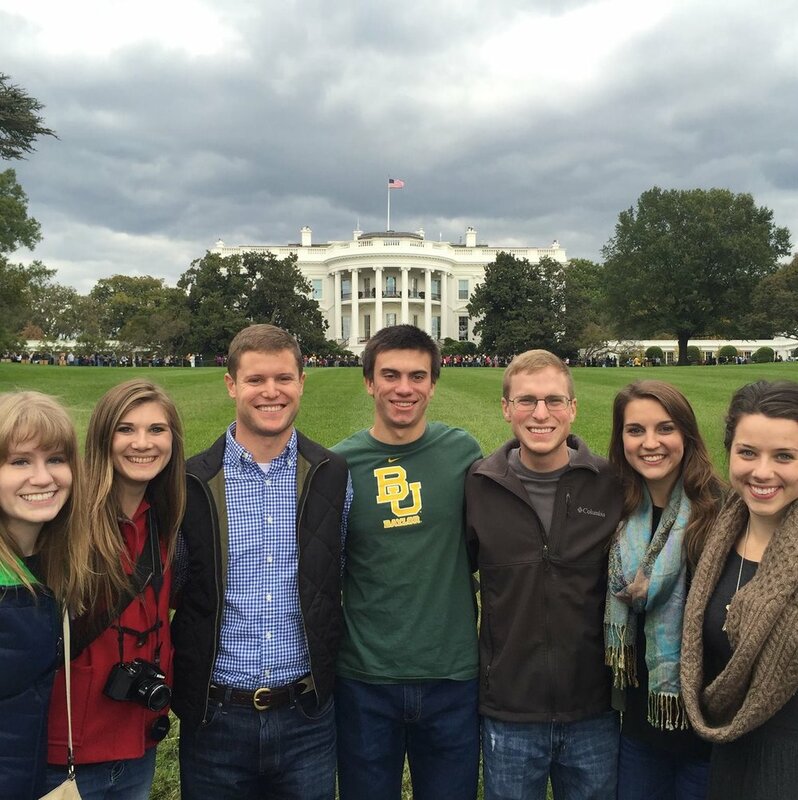 The Richardson Building Intern Housing program provides an enriching experience for young professional conservative interns at a reasonable cost. Conveniently located adjacent to The Heritage Foundation on the Senate side of Capitol Hill, our Intern Housing location is an easy walk to House and Senate office buildings. 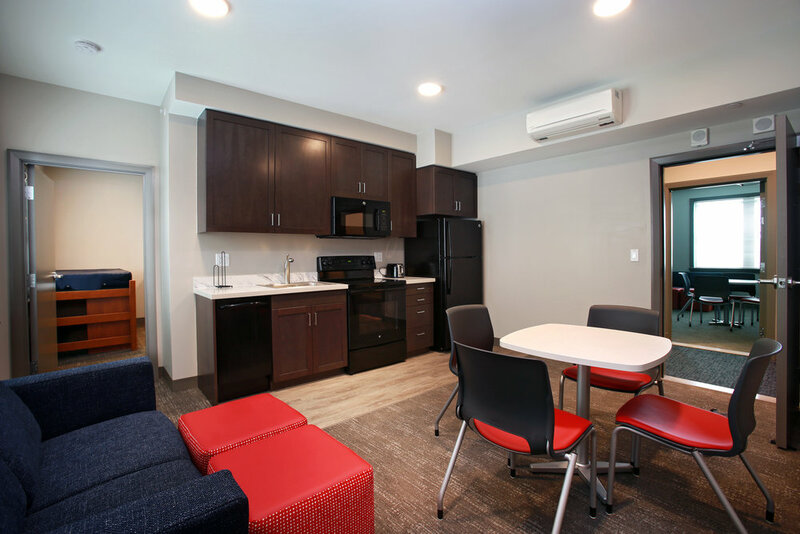 It is also nearby to Union Station for easy Metro access, making it an ideal location for interns on the Hill and throughout the Washington, D.C. area. The Richardson Building Intern Housing program is more than a place to live, it is a place to grow and build community. We strive to create an engaging community, to mentor our residents, and build a network of like-minded conservative leaders. Our hope is that each resident leaves encouraged and more equipped than when they arrived in Washington, D.C. Each of our residential floors is staffed by Resident Advisors (RAs) who have a passion for working with young adults eager to begin their career in Washington, D.C. The experience, wisdom, and mentorship by the RAs is unparalleled across other intern housing options in the city. Choosing to live and participate in our program is an internship amplifier. It offers you a network of peers on a similar journey with lasting opportunity for impact. The quality young men and women who stay here truly make it shine season after season. It attracts genuine, spirited, and intelligent residents who together transform a brick building near Capitol Hill into a bastion of intellectual conversation about the ideas and principles which define our country. Many of the individuals I connected with during my several stays in the building remain among my closest friends today. These devoted friendships are beautiful phenomena unique to this Intern Housing program. Unlike anything else in Washington, D.C. The Richardson Building Intern Housing program is not only a unique experience to live, grow, and build community, we are conveniently located at a prime location on Capitol Hill. Our location is within a short walk to the U.S. Capitol, U.S. House and U.S. Senate office buildings, as well as the Supreme Court, Library of Congress, and Union Station, a major public transportation center. The Program’s former home at The Johnson Building, and its new home, the recently developed E. W. Richardson Building (opened May 2018), are located adjacent to The Heritage Foundation. In May 2018, The E. W. Richardson Building opened its doors. This Building was specifically designed to house our Intern Housing Program with a goal of building a first-rate experience for intern-residents to live, grow, and build community. The Building primarily consists of 2-bedroom, 2-bath units and some 1-bedroom, 1-bath units. There are study rooms, a large multi-purpose lounge, fitness center, and laundry facilities on-site. The E.W. Richardson Building is a training ground for the future; that next job, opportunity, and professional network begins here. Formerly housed in the Johnson Building, we took a thriving program and better positioned it to maximize the investment into America's next generation of leaders. Just bring your bedding, and your suitcases. We provide the furnishings and kitchenware you need. 24 hour on site patrol officer, access controled entry ways, elevators and stairwell doors. Plus a team of Resident Advisors on each intern floor. Per person rates are pro-rated weekly and cover all utilities and amenities including gym, hi speed internet, taxes and fees. Stay connected throughout the building with dedicated hi speed internet. 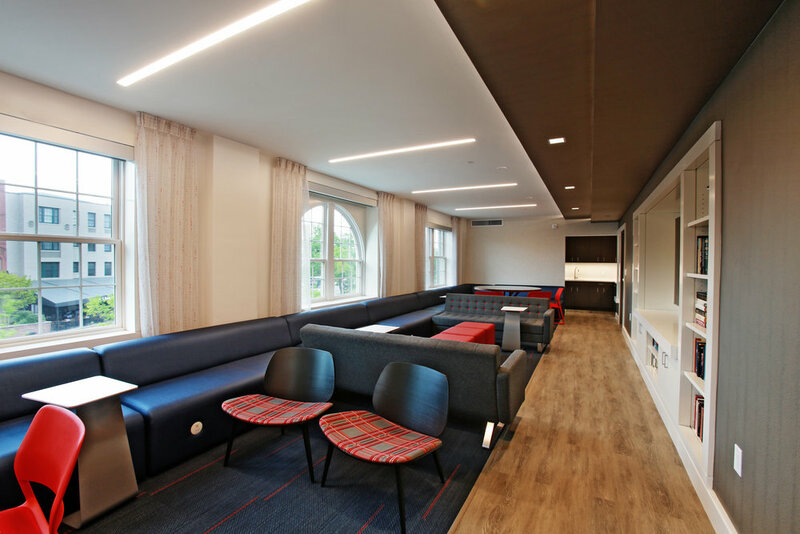 Located on Massachusetts Avenue, in the North East quadrant, Richardson Building Intern Housing is at the heart of Washington, D.C. with the U.S. Capitol Building, the National Mall, Union Station, and Eastern Market just a few blocks away. Capitol Hill features a unique mix of retail stores, welcoming restaurants, modern amenities, and professional services along with must see spots like Capitol Hill Books and Folger Shakespeare Library. The nearby Navy Yard neighborhood, home to the Washington Nationals, is a hub of activity and team spirit. With its tree-lined streets and walkable community, Capitol Hill boasts a small-town feel with the rich amenities of urban life. Giant, Harris Teeter, and Whole Foods grocery stores are within walking distance. There are over five distinct coffee shops in a two block radius, including Starbucks, Ebenezers, and Union Kitchen Market. Union Station provides multiple dining options including Shake Shack, Chipotle, and Uno Pizzaria. There are also several pharmacy and dry cleaning options nearby. In addition to its prime location, our building includes several amenities to assist in the development of community. The Richardson Building features a large multi-purpose lounge with an 80'' TV, conference table area and seating areas host social activities. In addition, there are two study rooms for quiet study or group projects. These common areas host policy expert Q&As, intern bible studies, movie and game nights and pot luck celebrations. We also have laundry facilities and a gym on site. For a full list of building amenities see the FAQs. Just two blocks east of Union Station, our housing is at the crossroads of transportation options. These include Red Line Metro Access, nearby Metro and Circulator bus stops, and a Capitol Bikeshare hub across the street from our building. Travel outside of Washington, D.C. by bus or regional train is also based out of Union Station. $890 per month, prorated weekly. 30% less than other intern housing providers.